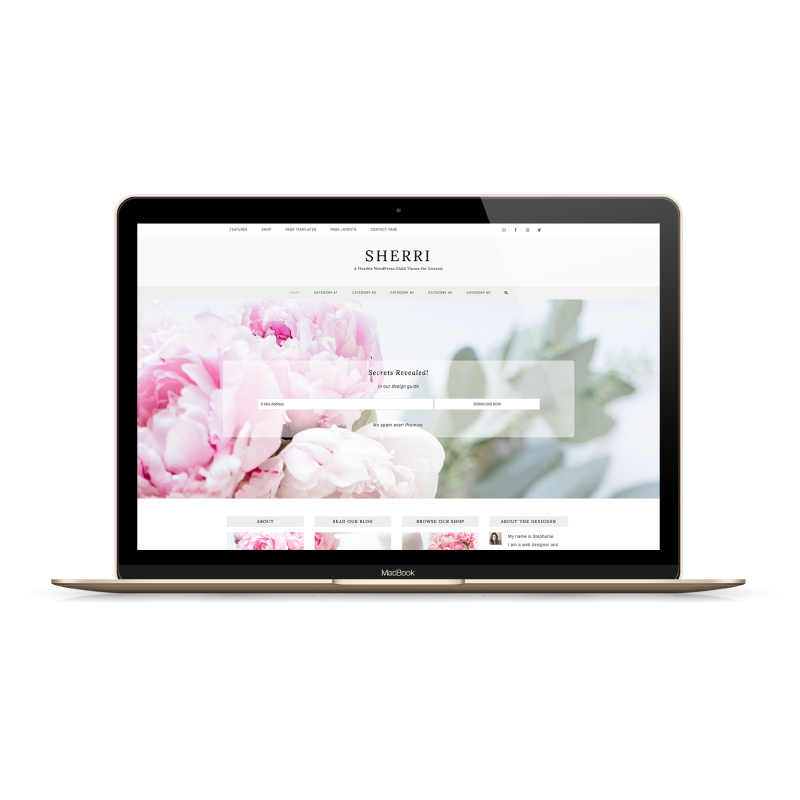 An exclusive theme that offers you the ability to showcase your products, work & blog posts on the homepage and build beautiful interior pages without knowing any code! Please note: This theme was built on the Genesis framework and it is required and must be purchased separately. Influencer Pro // A WordPress & Genesis Theme built to grow your email list and convert leads to sales. 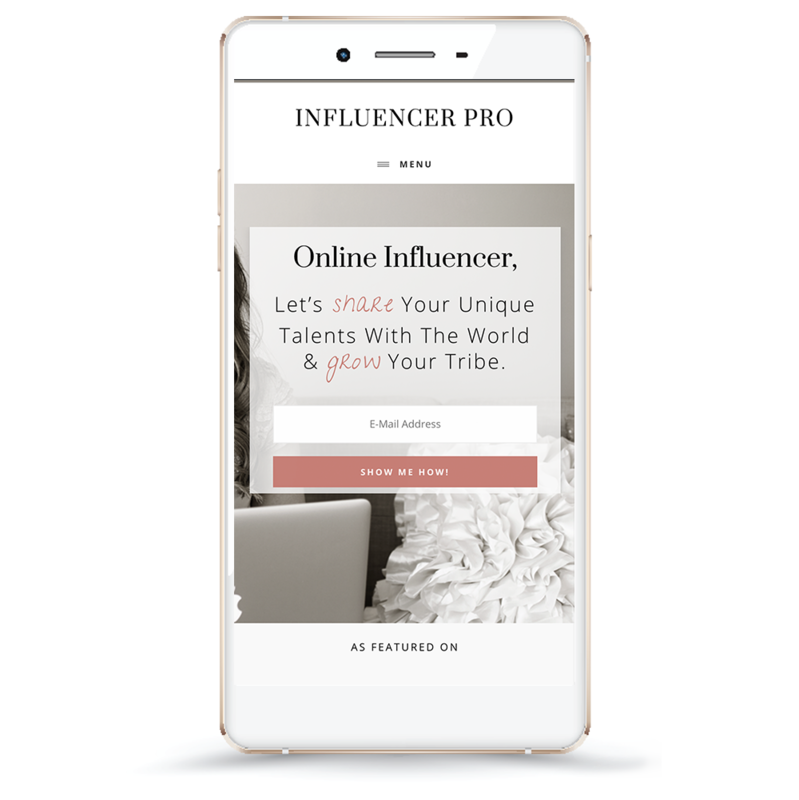 Influencer Pro was designed to offer you the features you would find in a custom website but for the price of a DIY theme! With the online marketer in mind, we developed a reusable, built-in page template so you can easily create beautiful full-width pages. This exclusive feature allows you to easily create custom about pages, coming soon pages, sales funnel pages and so much more! Simply update the site credits right in the WordPress customizer! Exclusive video lightbox feature to easily display videos! Built-in automatic plugin installer saves you lots of time!